Small and medium-sized enterprises can now take advantage of a Google tool that tries to automate the management of pay-per-click (PPC) ad campaigns. The Display Campaign Optimizer has been brought out of beta testing and is available to any AdWords user getting at least 15 conversions per month. 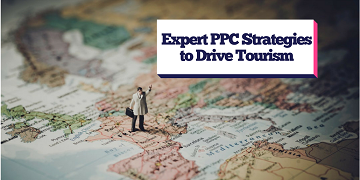 It was previously only offered to large advertisers managing PPC campaigns that notched up more than 150 conversions per month. What is the Display Campaign Optimizer? First unveiled in October 2010, the Display Campaign Optimizer automates several aspects of PPC campaign management relating to targeting and bidding for ad space on the Google Display Network. Advertisers submit their budget, creatives and cost-per-acquisition targets, before allowing Google to do the rest. Moreover, the tool is capable of learning what works best and adjusting campaigns accordingly in real time. As an example of how the Display Campaign Optimizer can improve results, Google has produced a brief case study for international training provider Dale Carnegie Training. Six months after it started using the tool on two of their campaigns, the company reportedly saw conversion rates increase by 308 per cent and 101 per cent without impacting upon the cost-per-lead. Making use of the service also helped them to tap into new markets - their ads now appear in more than 85 countries. Natalie Booth, assistant marketing manager at theEword, said: "It's great that Google is investing time and resources into improving the AdWords experience for smaller organisations. Of course, automated tools are no substitute for hands-on campaign management by experienced PPC marketing professionals. However, if it encourages up-and-coming businesses to dip their toes into PPC advertising, that has to be a positive step for the entire online marketing sector."